Tom Jones keeps finding ways to stay hip. I’ve seen him perform twice in Las Vegas. He has a funky band, and he puts on a good show. 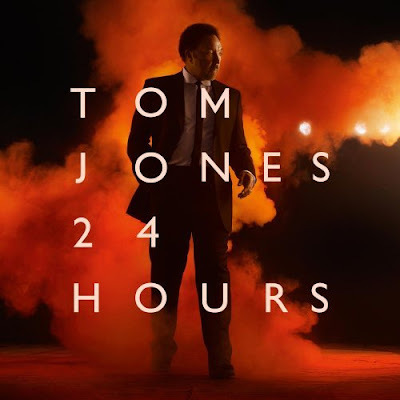 Tom Jones has a new album coming out later this month. It’s called “24 Hours.” And I can point you to a free track. Click here to hear “If He Should Ever Leave You” on my Vox blog. "keeps finding ways to stay hip"
Like when he did "Kiss"
"....think I wanna dance now"
^ He rocks "Kiss" live. Back in the day, did he wear the tightest pants ever, or what? When I was a little girl I used to watch Tom Jones at my grandmother's. I didn't understand then why I liked him so much. I do now. He's still hot.